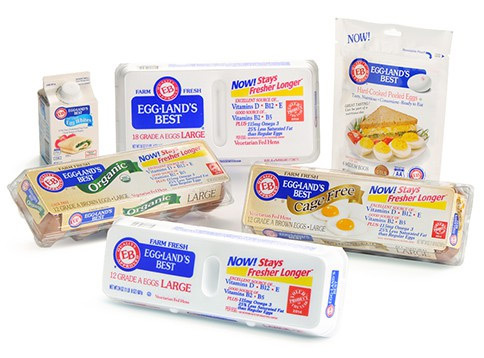 At Eggland's Best, our commitment is to deliver a nutritionally superior egg that has the best quality, taste and freshness. 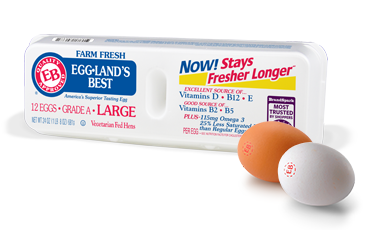 Eggland’s Best classic eggs are available in white and brown varieties in several sizes and quantities perfect for any size family. 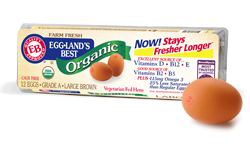 Eggland’s Best organic brown eggs carry the USDA organic seal, offer superior nutrition and are available in large, extra large, and jumbo. 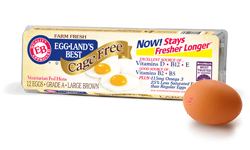 Eggland’s Best cage-free eggs have the same superior nutrition as our classic eggs and are available in large, extra large, and jumbo. 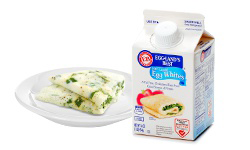 Eggland’s Best 100% Liquid Egg Whites are made from farm-fresh, nutritional Eggland’s Best shell eggs and are available in 16oz and 32oz cartons. 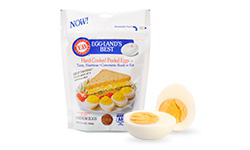 Eggland’s Best ready-to-eat Hard-Cooked Peeled eggs are available in convenient 2, 6 and 10-count pouches. 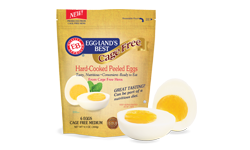 Eggland’s Best ready-to-eat Cage Free Hard-Cooked Peeled eggs are available in convenient 6-count pouches. 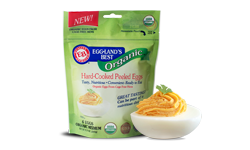 Eggland’s Best ready-to-eat Organic Hard-Cooked Peeled eggs are available in convenient 6-count pouches. 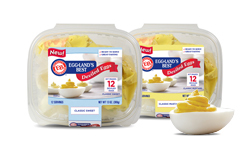 Eggland’s Best ready-to-serve Deviled Egg Kits are available in select markets. Look for our Classic Sweet and Classic Mustard flavors in convenient 12 serving containers. EB Snacks include three favorite snack items in one convenient ready-to-eat tray! Be on the lookout in your local stores! 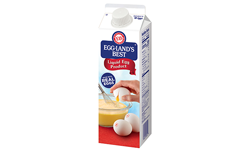 Eggland's Best Liquid Egg Product is available in select markets. Be on the lookout in your local stores! It starts with the special Eggland’s Best all-vegetarian hen feed and results in a more nutritious egg. 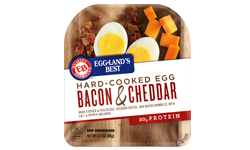 With healthy protein and more vitamins and minerals than ordinary eggs, Eggland’s Best delivers superior nutrition and better taste right to your family’s table.